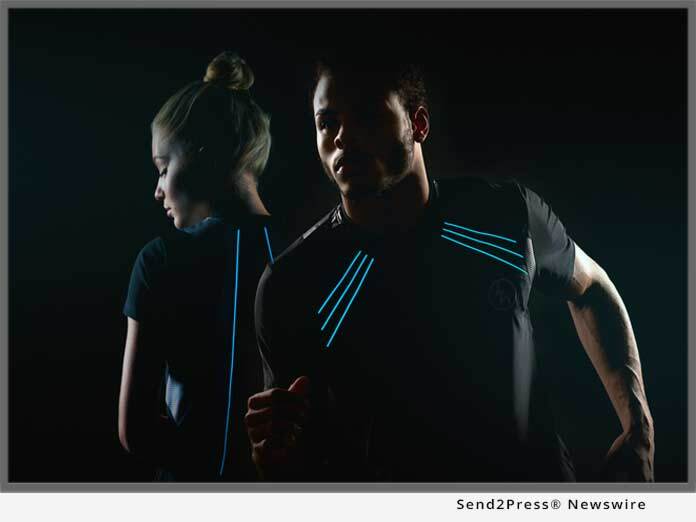 MIAMI, Fla. /Florida Newswire/ — Luna Wear, a fashion technology startup based out of Miami Florida, has released the world’s first ever machine washable and dryable, fashionable, illuminating athletic apparel line. Powered by a small USB rechargeable lithium battery, Luna Wear’s super bright patented lightweight, foldable Luna illuminating material provides safety for outdoor runners, joggers, cyclists and pedestrians via enhanced visibility. Luna Wear was born out of Founder and CEO’s Richie Luna’s near tragic encounter with an oncoming driver while running one night on a dark and lonely road. The company has released a full collection of over 25 shirt designs which include female crop and tank tops, short and long sleeve shirts, in addition to male vests, which are available for pre-order on Luna Wear’s online store. “Our vision is for Luna Wear to light up the entire world one person at a time. Our ultimate dream would be when the sun sets and the moon rises, to start seeing Luna lights glittering one by one as people start turning on their Luna Wear gear, across every street in every city of the world,” adds Luna. Luna Wear has already caught the attention and interest of different mega celebrities and major retail stores. Luna Wear has landed on planet Earth and will be coming to a store near you very soon. To see more, visit: https://lunawear.com/. Based out of Miami, Fla. Luna Wear is a fashion technology startup that specializes in the design and manufacture of the world’s first machine washable & dryable, fashionable, illuminating athletic apparel line.